Today another bobcat showed up. jeffy senior is not pleased. p.s. that bidness about a bobcat making bread on my back made my laugh for about 5 minutes. Kneading Bobcat appears singularly unimpressed by vehicle bobcat. Jeff Rules! Jeff is not worried, he knows he is the most handsome of the bobcats. I’m stunned he did not rise to this intruder’s challenge. 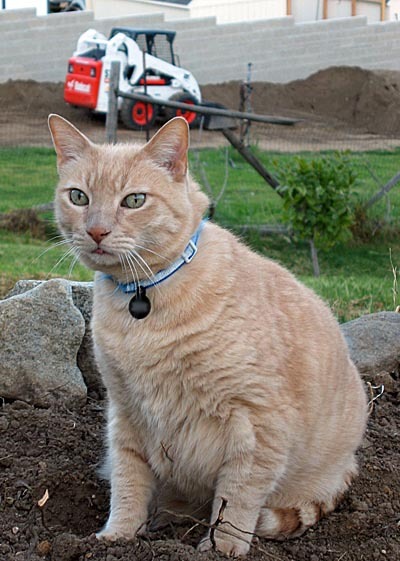 Jeff’s supply of rodents will be disrupted by this other Bobcat’s actions. 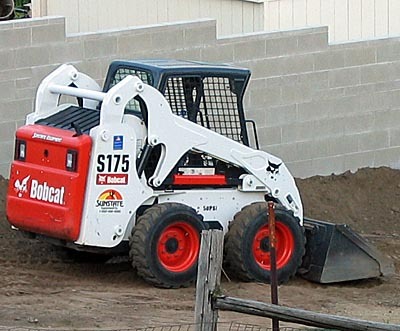 El Jefe turns his back on the “imitation” bobcat. He farts in its general direction. that first pic is brilliant! my pussies would have been in the house already.